If you have any problems in relation to cracking please free phone us 0800 298 5424 for a friendly chat. We are highly qualified independent building Surveyors who are knowledgeable in carrying out structural surveys on all types, styles and eras of buildings. If you are moving house or having any property issues then an independent Surveyor can help provide a comprehensive survey report on a building whether that be residential or commercial. My Building Has Got Cracks In It, Are They Structural? This is probably the most common question that we get asked, which is not surprising as we are structural engineers or building engineers, also known as building surveyors. Structural problems, who are the experts? 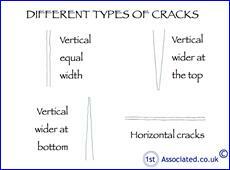 Expert advice regarding cracks on properties are available from building surveyors, who look at the building as a whole. Engineers tend to look at the structural elements of the building only and therefore wouldn't necessarily pick up such things such as wet rot, dry rot and woodworm. Some other professions may have skills in these areas, such as architects, who are in the RIBA (Royal Institute of British Architects), or builders, who are in the CIOB (Chartered Institute of Building). You do really need to check that whatever the profession that they have an expert in your type of building and in the problem you have. A good question for you to ask is can they advise when the last time they saw something similar was, what it was and what they did to help. Also you should seek advice from previous clients, for example on our website we have many testimonials, all of which, if you wish, you can have further details on. We would also ask for an example of a previous report, otherwise it is like buying a car without knowing what make or model you are buying and, as with most things in life, you get what you pay for. If this is all too complicated please phone us on 0800 298 5424 and we will be happy to explain it. We reiterate the point made above that the building surveyor or engineer must have experience in the type of building that you are looking for advice on. We would always ask to see a copy of a structural survey or a building survey that they have carried out recently on a similar property (you can download these from our websites). 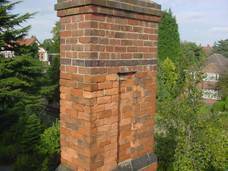 We don't know of any other website which has such a comprehensive range of structural surveys or building surveys. You should also check that, in a worst case scenario, the person has professional indemnity insurance. All building surveyors are required to have this by the law of the RICS (Royal Institution of Chartered Surveyors) profession. Should I Ask A Friend Who Is a Builder Or An Architect? Many of us are tempted to ask a friend who's a builder or an architect. They may be well meaning, but as it is not their normal day to day work you can never be certain of the advice and although we rarely find a problem that's not solvable, probably 1 in a 100 times, you really don't want it to be that 100th time when the other 99 are okay, particularly if it is your property and someone that is doing this every day may just not spot that one thing that makes such a difference. The other difficult thing would be where you had asked a friend and then this problem then goes on to cost a great deal of money, would you also ask the friend to compensate you on the money side of things? Depending on the skill and knowledge level of the person inspecting your property they will understand and interpret the cracking that they see differently. That is why it is so important to get someone who is skilled and experienced in carrying out this type of work. Cracking, will my insurance company cover me for this? In short the answer is not necessarily, it depends if you have recently moved into the property then they will have expected you to have had a structural survey to identify any such problems. If you haven't then it will be difficult to make an insurance claim. 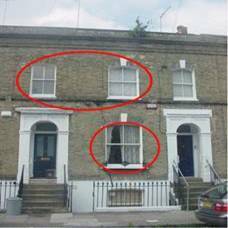 Within our structural surveys if we ever spot any cracks that we think may lead to future problems we always recommend that the present owners make an insurance claim and that you continue with the previous owners insurance when you move in and continue with the claim, thereby limiting your liability to the excess. This is often forgotten about when you have properties with cracks in (and you really don't want a property with a crack in) is the amazing amount of dust and dirt when repair work is being carried out. Often the insurance company makes the decision to relocate the people in the property whilst the work is being carried out, however if this work isn't on insurance then you may have to literally live through the work. We have developed our surveys over many years and have listened to feedback from our clients. We have amended and altered our surveys to make them easy to read and to describe issues clearly. The key factor we believe is that our surveys are easy to understand in plain English. In our structural survey reports we include sketches (like this one of a timber frame ceiling) and photographs to identify problem areas and to help to explain things pictorially. The red circles and ovals are a system that we use within our survey reports to highlight problem areas so that you are not left wondering what the problem is. Have a look around our website www.1stAssociated.co.uk and compare it with other websites. We pride ourselves on our professional standards and versatile, easy to read survey reports which we have been carrying out for many years on every age, type and style of property throughout the UK. We hope you found the article of use and if you have any experiences that you feel should be added to this article that would benefit others, or you feel that some of the information that we have put is wrong then please do not hesitate to contact us (we are only human). The contents of the web site are for general information only and are not intended to be relied upon for specific or general decisions. Appropriate independent professional advice should be paid for before making such a decision.